Grimsby–United kingdom, IN – Febuary, 2011 – Big-boys-gadget-toys today announced that their first iPad game Cave Shooter HD, is now available exclusively for the iPad. 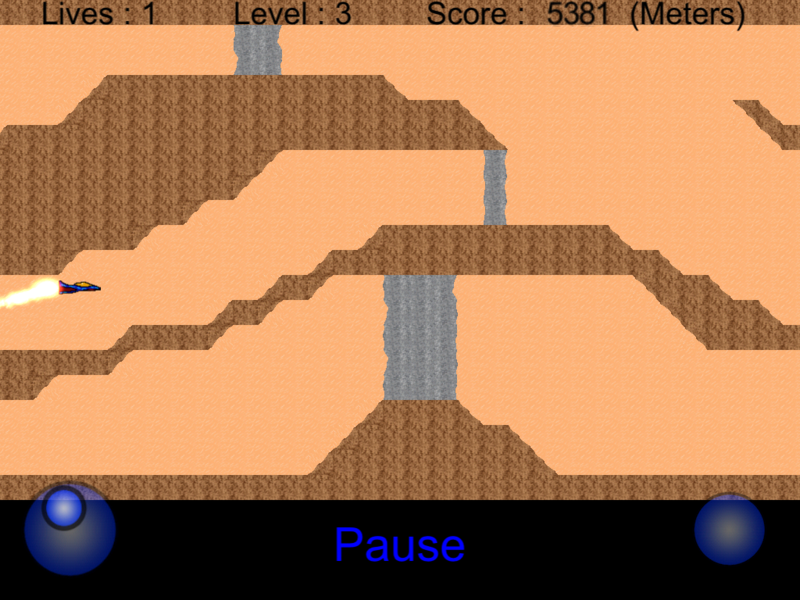 Cave Shooter HD is a highly addictive classic side scrolling arcade shoot-em-up where the players have to shoot their way through cave walls to escape, all in the palm of their hand. 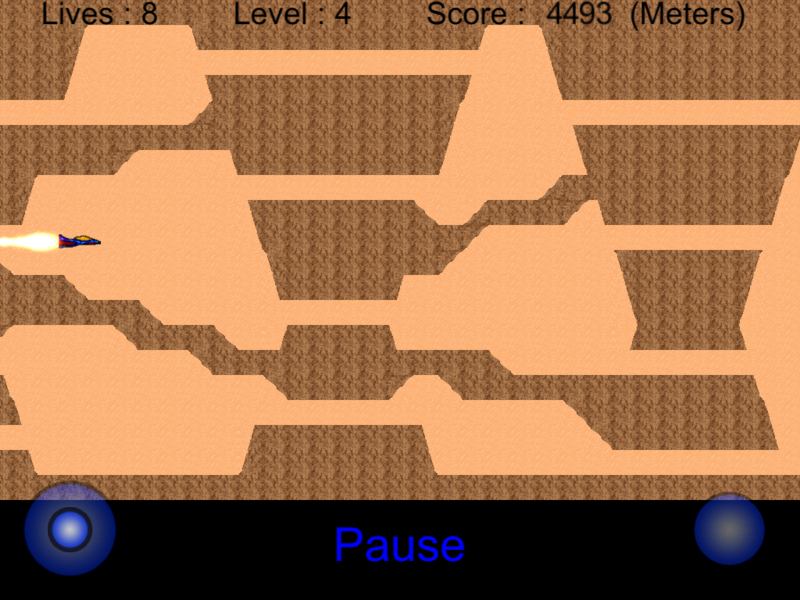 In Cave Shooter HD, the player takes on the roll of a secret agent who needs to escape a complex cave system in their space ship while hurtling along at breakneck speeds.Navigating and shooting your way through cave walls using a virtual joystick/fire button, traveling as far as possible to get the best possible score. “The closer you come to escaping the harder the cave terrain becomes. In later levels the added complexity of enemy turrets firing back at you adds to the challenge, making this a game you won’t want to put down ”said Colyn Bunn, founder of Big-boys-gadget-toys. “I’m extremely pleased with Cave Shooter HD, Unlike the iPhone version the Levels are huge making great use of the iPads large Screen. I know that users will find it challenging and addictive.” said Bunn “especially since we have added game center achievements and high score tables to keep the game fresh each time you play. We decided to build Cave Shooter HD with easy touch screen controls so players can get the most from their game,” said Bunn. The game also features custom made soundtrack produced specifically for the game. Please visit http://www.big-boys-gadget-toys.co.uk/caveshooterhd.htm for more Cave Shooter HD information including full description, screenshots and video as well as http://www.big-boys-gadget-toys.co.uk for more company information. Big-boys-gadget-toys is an independent software studio and online retailer based out of Grimsby, United Kingdom, was formed in 2007 by Colyn Bunn for the purposes of creating mobile applications and delivering internet retail.